Did you know that 78% of businesses have dedicated teams for their social media? This is up from 67% five years ago, demonstrating that increasingly, organizations are acknowledging the power of social media to attract and engage customers. The bad news? Webbiquity reports that 83% of customers have reported bad experiences with social media marketing. As a business owner, it's clear that using social media marketing to your advantage is critical, but do you know how to maximize the impact of your social media marketing campaigns? Do you know what your goals should be, and how to achieve them? Whether you want to be or are already managing a social media strategy, you can download our free eBook to find out how to leverage your core skills to implement and oversee an effective digital strategy. We’ve done a bit of research on your behalf and we’ll show you five successful campaigns that made waves across various social media platforms including Facebook, Twitter, and Instagram. So whether your business is new to social media marketing, or somewhat of a seasoned veteran, these five campaigns can give you insight into running campaigns that consumers respond to. Five inspiring social media campaigns and what you can learn from them! Dacia (a subsidiary of Renault) is one of Europe’s fastest growing car brands. Best known for their functional cars that offer amazing price-to-value ratios, the customer market grew by 60,000 cars in the last three years. To generate leads and create brand awareness. By using Facebook's boosted posts, Dacia placed ads related to their Sandero, Logan, and Stepway models. They focused on both desktop and mobile users. By incorporating data from past activity, the company ensured that a wide variety of ad testing was done, essentially optimizing the advertisement’s impact based on where their customers were in the buying cycle. Facebook’s Ad Campaign is a minefield for lead generation as well as ad recall. When applied correctly, sustained direct response messaging related to the feed can help drive leads in a cost-effective way and also help boost brand favorability! TVibes is a unique company that allows customers to create their own TV channels using their own mobile videos (stored in the cloud). They’ve come a long way since their humble beginnings back in 2014 (they launched a successful iOS app in 2015) and are best known for allowing users to choose their own audiences to view the channels. To establish loyal and engaged app users. The goal of the TVibes campaign was to encourage customers to use their app for mobile video storage. Since Facebook is an intuitive platform for lead generation, the founders of the company used the social media giant to try and gain more sign-ups and get more followers. Uri and Gilad - the founders of TVibes - instinctively knew they should integrate a social site like Facebook into their social app. This made it easy for followers to create accounts, log in and explore channels created by their acquaintances, all done conveniently from their Facebook home pages. To help encourage signups based on targeted audience groups, the founders made use of mobile app install ads. By sorting their audiences based on reactions to video ads and with the clever use of lookalike audiences, they had a brilliant strategy of optimizing their campaign. Leads and customers gained by Facebook-driven campaigns are a lot more likely to engage and are more likely to stay loyal over the long run. Video ad campaigns are valuable marketing strategies that can massively impact your number of new customers and long-term clients. Consumers have been “given wings” for well over 28 years by Red Bull, and they ranked #76 on the Forbes Most Powerful Brand List in 2015. Their original energy drink can be found in over 170 countries, so it comes as no surprise that the company has sold over 60 billion cans of their famous drink. Since their humble beginnings back in 1987, the brand has since released 4 new flavors of energy drinks to cater to individual tastes and preferences. To drive awareness of the extension of the brand. 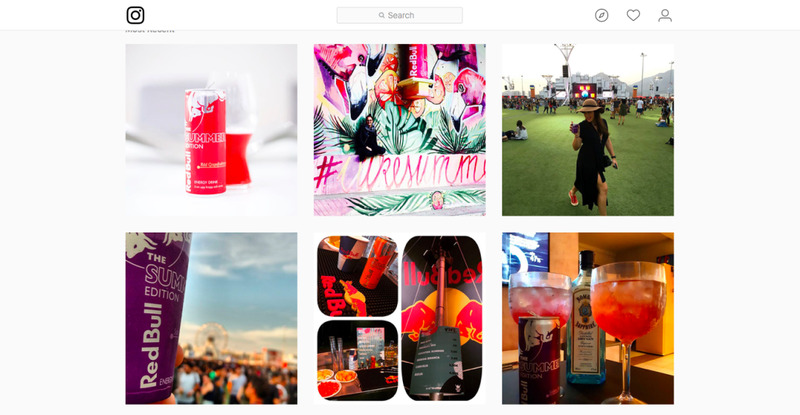 The goal of their Instagram campaign was based on boosting awareness and sales of their tropical flavored “Summer Edition” energy drink for the Australian market. With a firm focus on simplicity and brand building, Red Bull paved the way for their actual campaign with a promotional teaser just before the summer hit. To get audiences focused on the new look of the cans, they incorporated yellow filters across a range of images and videos portraying typical summer days. The brand was twice as likely to be associated with the #thissummer hashtag trend as any of its nearest competitors. There’s a massive market for campaigns launched on social media sites, and the power Instagram can have in driving engaged users is notable. In order to leverage the full power of a social media campaign on Instagram, you need to understand how consumers use social paths so that you can use them too. Red Bull did this with their #thissummer hashtag. Glu Mobile is a well-known smart-device game publisher that has been around since 2001. Their games are focused on the original IP games like Gun Bros, Deer Hunter, and Zombie Defense, to name but a few. Their “Freemium” games can be played on iOS, Android, Windows and MAC operating systems and cater to a broad array of global audiences. Glu wanted to increase the number of installs for their new game, Diner Dash 2016, and their marketing marvels knew they also had to target a wider audience segment. The Instagram campaign was also run as a part of testing out the waters to see whether or not the platform was a viable option for acquiring new users. 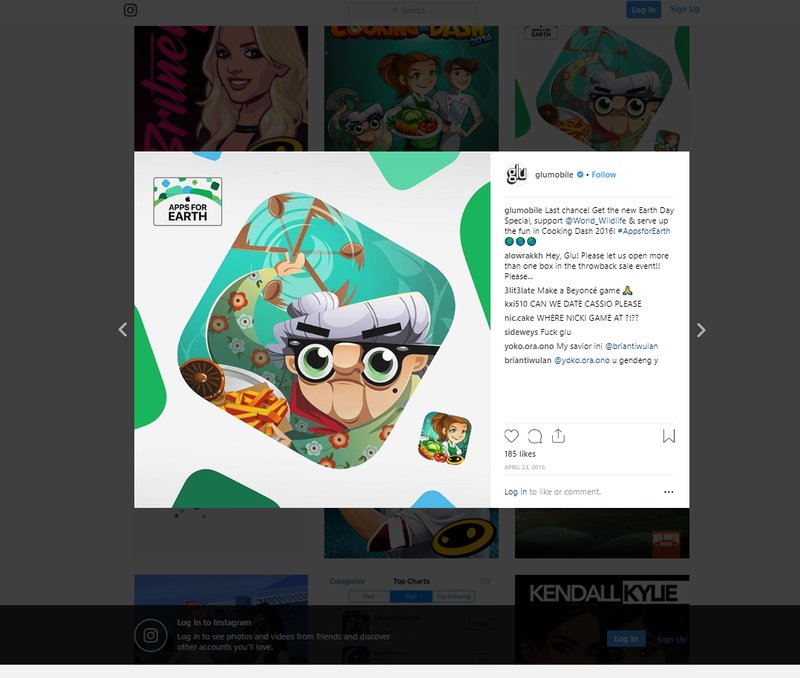 Glu Mobile teamed up with ReFUEL4 to effectively gain followers from Instagram’s huge collection of foodies. They created smart photo ads displaying a real chef and added some Diner Dash food items from the game to the ad image. The brilliant CTA to “Install Now” resulted in a boom of app installs for the company. Glu also made use of Facebook’s Power Editor and Ads Manager while developing their campaign, incorporating targeting tools to reach an audience of women aged 18 to 45-years-of-age. Instagram is an amazing way of reaching new audiences, in a way that an audience wants to be marketed to. Including a direct and clear CTA on your posts is important to drive specific behaviors. As a non-profit organization, the Girl Scouts USA started over 100 years ago with a woman who believed that every girl has immense power. Since the first Girl Scout troop in March 1912, they’ve grown, helping girls find their passions, talents and strengths. Most of us know the Girl Scouts for their amazing cookies; cookies which help girls thrive and collect funds that are put to amazing use around the community. The social media team noticed that a lot of customers had issues with finding their nearest Girl Scout Representative when Cookie Season was in full swing. They wanted to drive cookie booth searches on their official website and also boost the number of downloads for their Girl Scout Cookie Finder mobile app. This would not only benefit the organization but also, be a massive help to consumers looking to buy cookies. 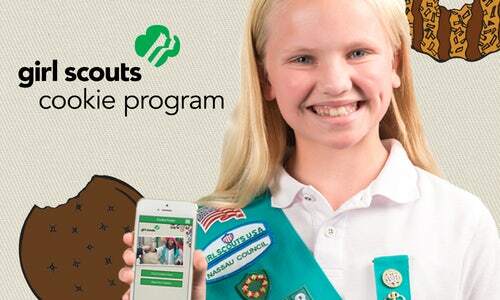 @GirlScouts used an App Card (showcasing their delicious products) in a Twitter App Install campaign, which easily and conveniently allowed users to download and open the Girl Scout Cookie Finder app from their Twitter account. This resulted in significantly boosted conversions! By adding images to Twitter’s App Cards, you’ll give potential customers a visual of what your app has to offer. Using the App Card function is a great way of allowing customers to easily access your app right from the Tweet itself. There you have 5 successful social media campaigns that made waves in the last few years. These examples simply speak to just how valuable social media marketing can be and what a big difference it can make in lead generation, brand awareness, and sales. Keep these takeaways in mind when planning your next campaign! Learn the tools and technologies needed to meet the challenges of tomorrow with a Professional Diploma in Social Media Marketing. Download a brochure today!